Garvin Industries Temporary light fixture with snap hook, employs super bright medium base CFL lamp has average life of 8000 hours, which offers brightness of 6829 Lumens. Lamp has color temperature of 6500K. 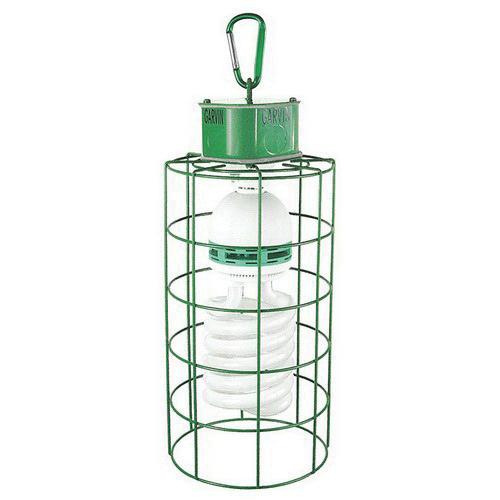 It features steel construction with green powder coated finish for longer endurance. Fixture has voltage rating 120-Volts and power rating of 105-Watts. Fixture is UL listed.